Ever since I’ve heard many years ago of the existence of flying Yogis, Yoginis & Mahasiddhas, I’ve been very intrigued by it. Flying Yogis and monks are part of the special world of Mahasiddhas and other beings with extraordinary powers (called siddhis in Sanskrit), which were regularly painted as part of old thangkas (Tibetan-Buddhist scroll paintings) and on the walls of temples. All Buddhist schools recognize the existence of siddhis, or magical powers. When your meditation practice deepens and your concentration improves, you will most likely develop extraordinary gifts such as clairvoyance, telepathy, levitation and the memory of past lives. But in the Buddhist world they won’t show it off. It is seen more as a by-product of the mind when reaching higher states of consciousness, where eventually mind becomes stronger than matter. And all these powers are seen as mundane, and nothing compared to the ultimate siddhi, which is the full state of Enlightenment. These are individuals who, through the extensive practice of the tantras -the Buddhist scriptures in Vajrayana Buddhism for the advanced practitioner- not only develop a spiritual and psychic discipline or realization, but as a by-product they develop psychic and spiritual powers as well. “King Indrabhuti, who ruled over the Indian country of Uddiyana (in present day Pakistan) was one day sitting on the veranda of his palace looking out over the fields. In the far distance, he noticed what appeared to be a flock of red colored birds flying across the sky. The Buddha and his disciples appeared in the distance as reddish birds because of the saffron colored robes that they wore. 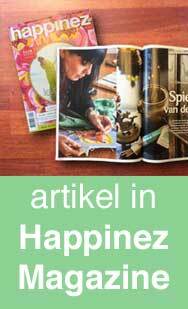 In June 2013 The Buddhist Broadcasting Station in The Netherlands interviewed me about this subject of Flying Monks (radio program in Dutch) and in 2015 I offered the first thangka course on this subject. 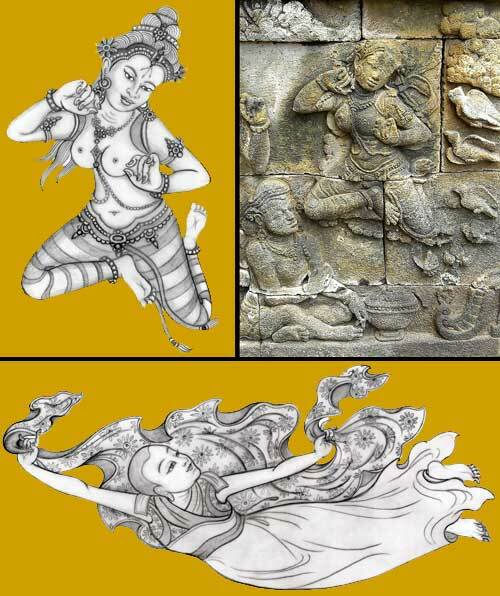 The picture above shows two drawings that I made: the first one -a graceful apsara (a celestial nymph) was based on one of the stone reliefs of the Borobudur on Java, that I recently visited and inspired me a lot. Below that I drew of a Mahasiddha monk, who is using his outer robe as a parachute to fly.